If you have recently undergone renovations or a large construction process contact the cleaning professionals at Mango Maids. Our team understands the needs of homeowners, and how messy a home or business can be after a renovation or development project. Your recent construction or property renovation processes has just brought great value to the aesthetics and function of your home or business. After the build process there needs to be a variety of cleaning to be done before the space is move in ready. Floors, walls, appliances, counter surfaces, cabinetry and so much more can be left dirtied with dust or other building debris. Don’t make your construction process more work then it needs to be. Cleaning up after a large renovation or property construction process is intensive as it incorporates several different cleaning processes. Leave your post-construction cleaning needs to an experienced professional. The home cleaning services at Mango Maids use an eco-friendly approach and products to completely clean your post-construction site. Our team will clean every aspect of the area and make it ready for safe use. For more post-construction cleaning service information, contact Mango Maids today! After a room addition or full property construction project, there can be a range of large messes left behind. To ensure the future safety and comfort of the newly built space, several cleaning services can be required. To get the best post-construction cleaning service results, leave your post-construction cleaning needs to an experienced and trusted professional. The team of post-construction cleaning experts at Mango Maids can turn your mess into a spotless and sanitized area. Home and business property renovation are always exciting projects. The property is being improved in the exact ways it’s users desire. The mess behind after the renovation however, is much less desirable for property owners. That is why the team at Mango Maids is here for all your commercial and residential post-renovation cleaning needs. 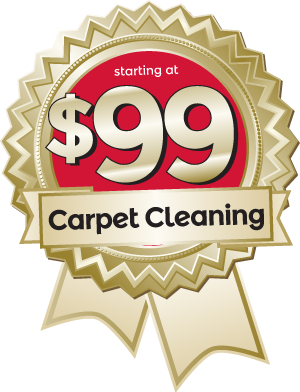 Our experienced team and eco-friendly approach will have your newly renovated space looking cleaning and comfortable! Want to skip the post-construction cleanup of your commercial property and get right to work? Then contact Mango Maids today. Our expert team can perfectly inspect and clean your commercial property to make sure it its safe and comfortable for future use. From dirty and dusty carpets, to debris all over various appliances and surfaces, Mango Maids is here to handle each of your specific commercial post-construction clean up needs. Call or email Mango Maids today for more information! You can trust Mango Maids with all your residential or commercial post-construction or renovation cleaning needs. Our team has all the equipment, industry knowledge and post-construction cleaning experienced to completely clean ad sanitize your newly built or renovated area. We have years of experience helping home and business owners across Alberta with their post-construction cleaning needs. Contact Mango Maids anytime to schedule a post-construction cleaning consultation! Contact Mango Maids today for post-construction cleaning services – fill out your information below and our customer service team will be in touch with you shortly!